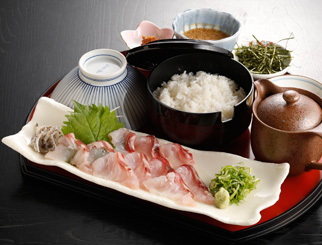 Boast of Sea Bream chazuke. 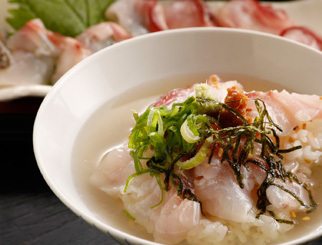 Our specialty is the specialty of our shop, "natural sea bream sea bream chazuke from Sakaiminato". 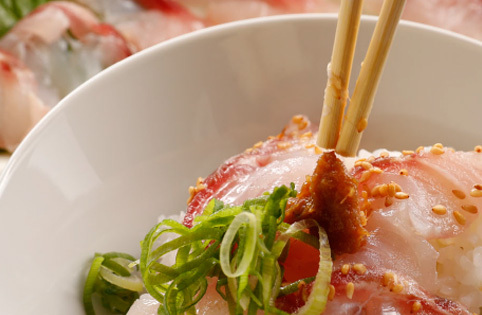 The sea bream chazuke which thinly made fresh natural red snapper has received great popularity by our customers. 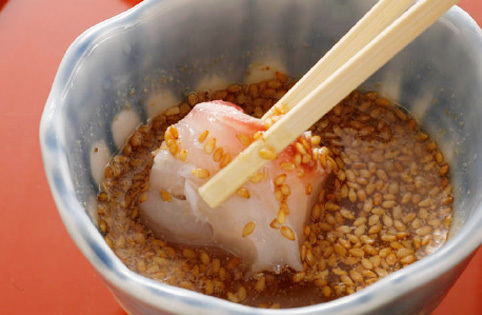 In addition, it is an excellent item packed full of commitment with no addition of the original homemade "bream miso". 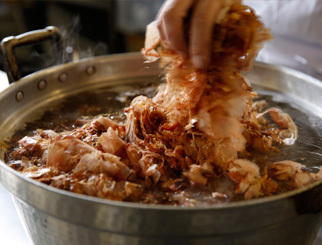 Feel the taste of the sea bream and eat snacks that can be eaten, please relish by all means. 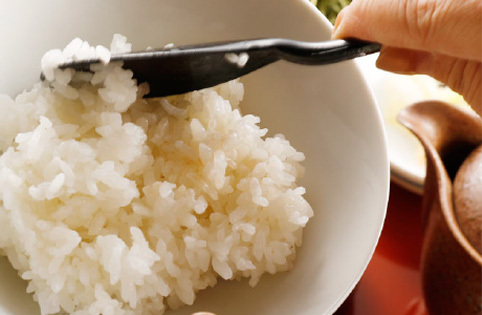 Place the rice in the rice bowl. Dip the Sea Bream in the sesame sauce. Place on top of the rice. 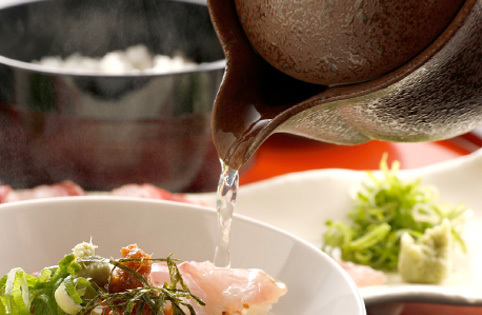 In the first cup, then pour the Dashi soup into the rice bowl. In the second cup, please add the special home made Sea Bream miso paste seaweed and leek as you wish.